This service will help you increase the popularity of your tracks with organized play campaigns - all genuine. You are ensured to get at least listened by a thousand music lovers or the count may increase above 1000! If you are looking for promoting your tracks, this is the right service for you. We ensure you the high quality promotion of your tracks to the listeners and boost your plays/followers stats. Our large partner network can deliver huge amounts of plays in short time. Totally unique users will play your tracks. All plays are absolutely real and eligible for royalties. All plays are guaranteed to be delivered. If all plays cannot be delivered within the requested period, the remainder will continue to be delivered after the period ends. Each track will receive at least the requested number of plays or more. We have a large network of partners and can deliver up to 100,000 plays per track per day. Because of our large outreach, we can guarantee a maximum number of unique players for your tracks. People who will play the tracks are totally random. Plays cannot be targeted to specific profiles, demographics or locations. If you have any question , feel free to contact us via inbox or comment on this service below! 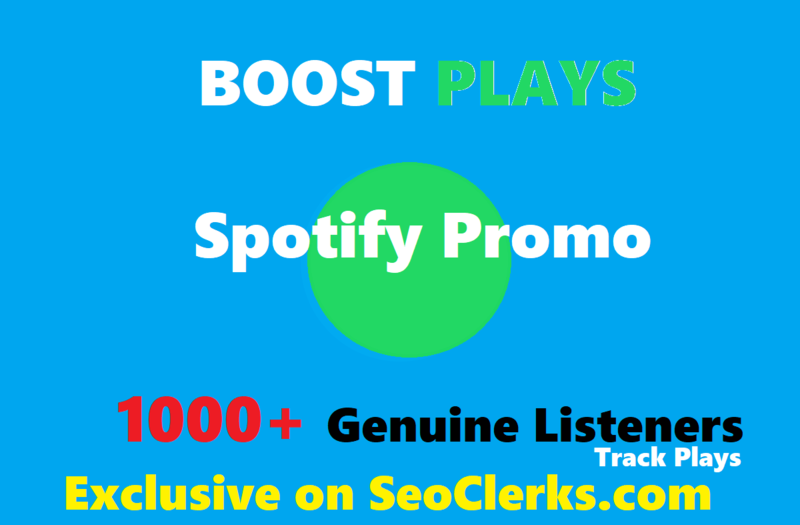 Add Your Track To Spotfy Playlist to boost streams , 1-2 weeks placement is ranked 5 out of 5. Based on 120 user reviews.